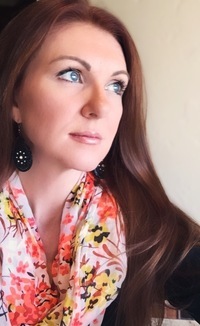 Author Jamie McGuire first hit the New York Times bestseller lists as a self-published author with her breakout, new adult romance novel, Beautiful Disaster. Traditional publishers came knocking with a two-book deal she couldn't refuse. In July 2012, she sold the book's rights to Atria, a division of Simon & Schuster. Atria republished Beautiful Disaster and released her new follow-on title, Walking Disaster. Both novels landed on the New York Times bestseller list. 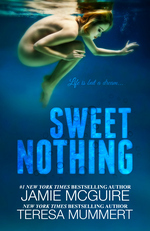 When it came time to publish her next novels, she chose to self publish them. Her story mirrors the story of many writers today. Given the freedom to self publish or traditionally publish, a growing number of proven bestsellers, and first-time authors alike, are choosing to self publish. This wasn't always the case. Just a few short years ago, most writers considered self publishing the option of last resort. Self publishing was derided as the option for failed writers. That was then, this is now. The recent rise of ebooks -- combined with the ability of any self-published author to gain global distribution to major ebook stores -- made it possible for writers to reach millions of readers without the help of a publisher. Ebooks made self publishing viable. This "indie" ebook revolution is transforming the publishing landscape as writers gain competitive advantages over their former publishing gatekeepers. So back to Jamie. Jamie's contract with Atria ended July 2014. 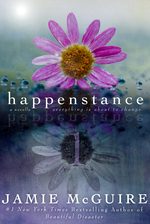 Despite her positive experience with Atria, she chose to self-publish her next new romance, Happenstance. It immediately hit the USA Today bestseller list. This January 27, she self-published Beautiful Redemption via my company, Smashwords, and Amazon, and it shot to the top of the New York Times and USA Today bestseller lists. For this interview, I decided to check in with Jamie. I was curious. Why would a bestselling author like Jamie McGuire, who loved her publisher, want to return to her roots of self publishing? Read on to learn her story. [Mark Coker]: Welcome, Jamie. What led you to self-publishing back in 2011? Those were the early days of the indie ebook revolution. Had you previously tried to get a traditional deal prior to self publishing? [Jamie McGuire]: Hi, Mark! I was drowning in query letter hell and received my first round of rejection letters for Providence. I didn't try to get a publishing deal because I couldn't get past the real gatekeepers back then -- agents. I'm impatient, and waiting for someone else to tell me I was ready to publish just didn't sit well with me. Author J.R. Rain introduced me to ebooks and self-publishing and told me where to find more information. Internet research led me to Smashwords. The moment I learned about self-publishing, I knew it was the right path for me. [MC]: Tell me about your initial reaction when sales for Beautiful Disaster started taking off in 2011. I imagine it was a life-changing surprise. [JM]: Beautiful Disaster sold less than a hundred books the first month it was available. I was a single mom then, and I just told my children they would have to use their backpacks from the previous year because we barely had money to buy school supplies. The second month, it sold more than 30,000 copies. It wasn't just a life-changing surprise. It was life-changing money. I lost sleep over how much to put into college savings, and which bills to pay off, because I thought it would never happen again, but my sales only continued to grow. Almost a year later, author Jessica Park called to congratulate me on making the New York Times bestseller list. I hadn't even known to look at the rankings because I didn't think it was possible for a self-published author to hit a bestseller list. 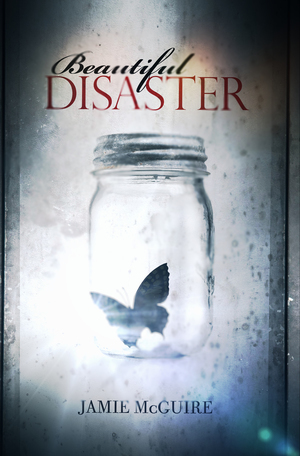 [MC]: Like many successful indies, you became a hybrid author (working with traditional publishers while also self publishing) when Atria acquired the rights to Beautiful Disaster and its follow-on, Walking Disaster. What factors did you consider when weighing options? [JM]: It wasn't an easy decision, but I was in a good position to negotiate. Beautiful Disaster had been out for over a year at that point. It had already made theNew York Times, and I knew its earning potential. I remember weighing what Atria could do for me that I couldn't do for myself -- at the time, that was putting books on shelves -- and what value I placed on handing over my most successful manuscript to a publisher forever. [MC]: For other successful indie authors considering the potential pros and cons of selling their rights to a large New York publisher, can you comment on your experience with Atria? [JM]: The industry is so different [today] from what it was just two years ago. I was lucky that I knew exactly what income Beautiful Disaster was capable of producing, so it was easier to negotiate an advance. Authors are getting picked up by publishers early on, so they might not have that luxury. I've done both, and I have no regrets. I felt like a partner at Atria. I learned a lot more about how publishing and marketing work, about making deadlines and how to compromise. I gained a broader readership from those who saw my titles on the shelves at stores. I still worked very hard to market my books and help the various departments (U.S., Canada and UK print and audio while also pushing the various retailer promotions) market my books. Instead of working for myself, I had an entire company behind me, but they were also relying on me, and that is an incredible motivator. My favorite moments with Atria will always be the indie tours they put together. Atria's publicity and marketing departments put so much effort into making large signings -- sometimes twice a day -- run seamlessly, and it showed. If an author has a chance to sign with a publisher for a fair price, it's a great learning opportunity. For some, it's also validation. How else can you know which avenue you prefer? It's a fair assumption though that successful self-published authors are happily autonomous. Authors facing the question of whether to sign or not sign with a publisher should take a moment to evaluate where on the personality spectrum they fall and if they are truly comfortable with handing over the reins. If you sign up to be a partner and show up behaving like the boss, it won't be a positive experience for either side. [MC]: Congrats on hitting The New York Times and USA Today bestseller lists with your release of Beautiful Redemption last month! Given your track record as an international bestseller, I imagine publishers would have fallen over each other to acquire this. Yet you decided to self-publish it. Why? [JM]: Thank you so much! It was really important to me to see this particular title do well. 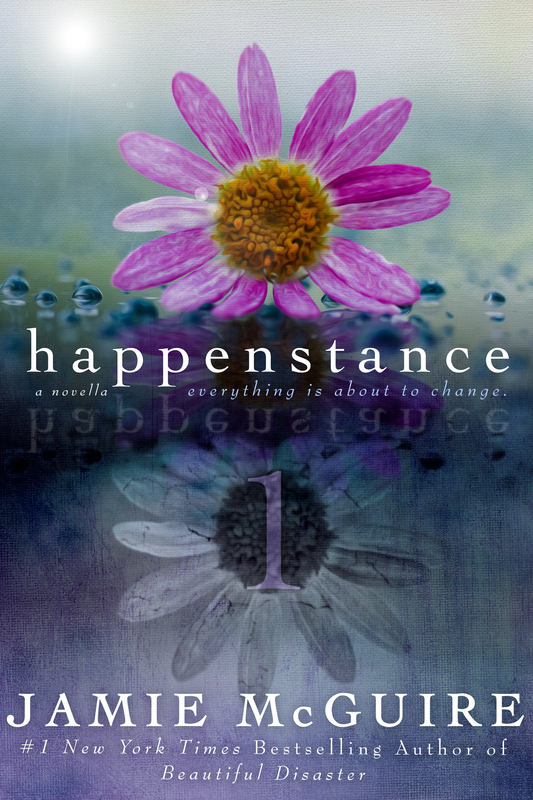 Hitting the USA Today bestseller list with Happenstance, my first self-published work after signing with a publisher, and then again with Beautiful Redemption was an incredible validation. Another point I took into consideration was seeing a shift in print sales across the board. Paperbacks weren't moving like they had before, and I wasn't seeing my books on shelves, even during a release week. My original reason for signing with a publisher didn't make as much sense anymore, but Atria Books was family. It was one of the toughest decisions I've made thus far. [MC]: Even though you had a positive experience working with a traditional publisher, you decided to return to self-publishing. What drew you back to self-publishing? 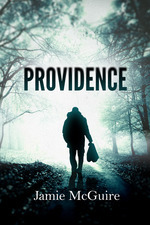 [JM]: Changing the description, cover, and prices of my Providence series, I recalled how much I loved having that kind of control. I'd forgotten what it was like to release an excerpt or teaser without needing permission or to have the freedom to choose and change my own price point based on what was fair to my readers, not the booksellers. Although nothing about self-publishing is easy or simple, I am the captain of my own ship. Whether a title sinks or sails is on me. I am the sole steward of my failures and victories--and there will be both. Not every writer is comfortable with that responsibility. Not every writer prefers it. Writing and then packaging my own manuscript is less stressful for me, and I've found my creativity thrives in that environment. [JM]: I chat often with traditionally published authors about going indie. Self-publishing was once a dirty word, but because we've seen so much success and streamlining of the process, making it easier than ever, being indie is a positive label, and in many cases, it's preferable. Self-publishing really boils down to independence, and that is exceptionally appealing to an author who knows the ropes and is considering taking a new direction that their publisher might not be excited about. Most traditionally published authors have this idea that self-publishing is complicated when it's really very simple, even more so for an established author. It can be as easy as asking a colleague for recommendations for freelancers for editing, formatting, and cover design and creating an account with the main platforms. With a description, genre choice, author bio, you can click publish, and your novel is live. Writing is the hard part -- okay, that's a lie. We all know editing is the worst. I think the hardest concept about self-publishing is that it might feel permanent. Once traditional authors release a self-published book, they might feel they're no longer welcome in the world of the Big Five. The beauty about being a hybrid author is, while not every book is right for a publisher, there is a potential audience for everything you've written. [MC]: You've got an ambitious publishing schedule planned with five new indie releases for 2015, five in 2016, and four in 2017. Can you talk about your process, discipline and time management to produce at such a level while still balancing a busy family life? [JM]: After I put my children to bed, I write until it's time to wake them up for school. I play with the baby for a couple of hours, and then I sleep until the older children get home from school. We talk about their day, and the husband and I catch up on daily items. We have dinner and bath time, and then it starts all over again. My family is patient and very supportive. They know we're enjoying the fruits of my dream job, and if that means Mom is in her pajamas when a friend pops over after school, that is a small sacrifice to make. 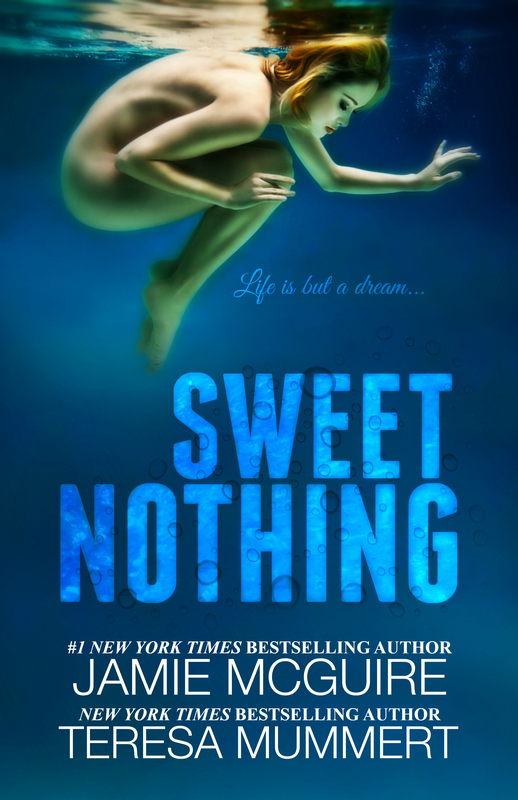 On November 1, 2015, Jamie McGuire will release her next self-published novel, Sweet Nothing, co-authored with Teresa Mummert. A longer version of this interview originally appeared at the Smashwords Blog.